Thinking of a spring engagement ring? 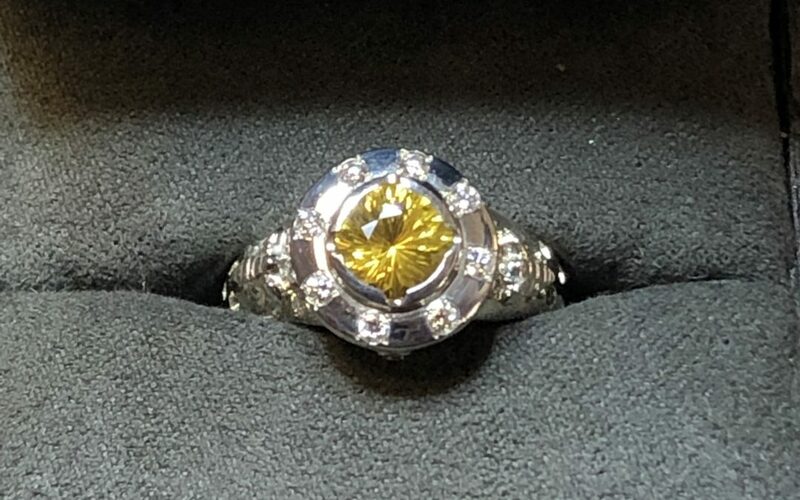 Check out this beautiful concave faceted yellow sapphire cut by award winning gem cutter Richard Homer. At slightly over 1.5carats in weight this yellow sapphire will shine brightly for your fiancée when you propose. Richard personally selects every one of his gems that he cuts by hand utilizing a gem cutting process that he conceived and created. Sapphires are a great alternative to diamonds for your wedding jewelry as they are extremely durable, clear and amazingly vibrant in colors ranging from yellow, pink, purple, fuchsia and blue to name a few. What may I create for you?